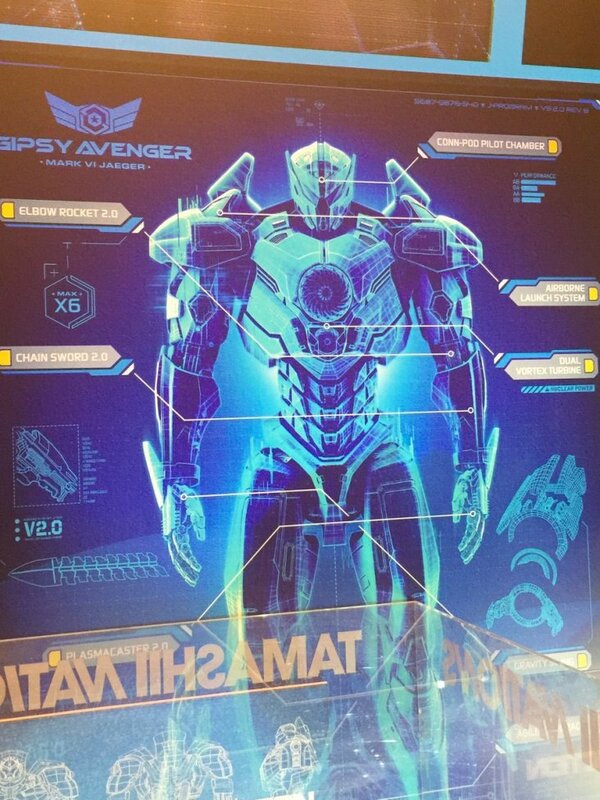 Fan website PacificRim2-Movie.com has unearthed schematics for Gipsy Danger 2.0 as it’ll appear in next year’s blockbuster sequel, Pacific Rim: Uprising. Now known as Gipsy Avenger, the gallery of pictures – as relayed to us by /Film – offer up what is undoubtedly our best look at the towering Jaeger to date, and we assume Avenger will be leading the charge against the invading Kaiju come 2018. The Force Awakens star John Boyega and Scott Eastwood are expected to climb into the hot seat, potentially straddling the same neural bridge in the process. What we do know for sure is that the former is attached to the part of Jake Pentecost, son of the apocalypse-cancelling Stacker, while Eastwood landed the role of Nate Lamber, a former Jaeger pilot who suits up to defend humanity once those sky-scrapping Kaiju begin to stage a resurgence. After a three-week spell in China, principal photography on the sequel formerly known as Maelstrom has wrapped, and we understand that Pacific Rim: Uprising is set some years after its effects-heavy forebear, at a time when the Jaeger program has fallen prey to corruption and those mighty weapons of mass destruction have fallen into the wrong hands. Gipsy Avenger is one such machine, and considering that its progenitor was retrofitted to become a nuclear warhead during the spectacular finale of Pacific Rim, its fitting that Avenger – America’s mechanized mascot – retains that legacy. Jing Tian, Lana Condor, Cailee Spaeny, Adria Arjona and Ukrainian up-and-comer Ivanna Sakhno complete the all-star cast. Pacific Rim: Uprising is on course to smash into theaters worldwide on February 23rd, 2018. Poor timing forced Guillermo del Toro to vacate the director’s chair – Steven S. DeKnight has been elected in his place – but it seems the illustrious Mexican filmmaker hasn’t given up on that long-rumored spinoff TV series just yet. Stay tuned for more on that front as the kaiju resurgence begins to loom large.